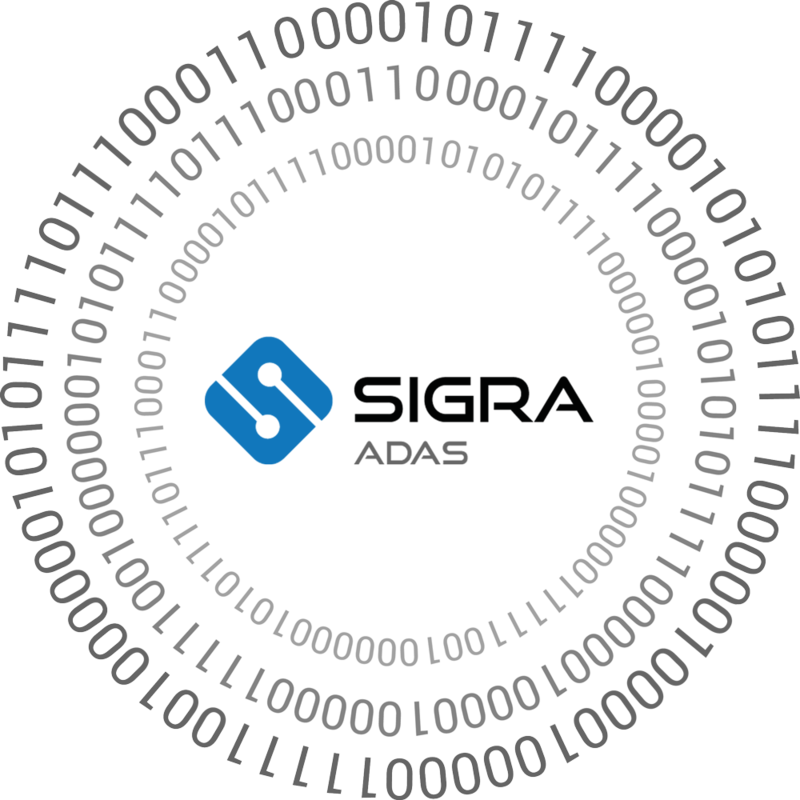 SIGRA ADAS is an innovative Advanced Driver Assistant System that can provide active safety which helps prevent accidents by warning the driver and even intervenes if needed. This system alerts the driver to potentially critical driving situations in real time with the aid of a visual warning signal, an audio warning signal, and a haptic warning signal. Should the driver fail to take corrective measure, as an advanced feature, the system can then provide active braking to mitigate or actively prevent impending safety critical situation. Find out more about our Research on Autonomous Driving. Pedestrian and cyclist are less likely to be identified by drivers in an urban environment. SIGRA ADAS system can identify pedestrian and cyclists and can alert the driver if the danger of a collision exists. The driver is alerted for any pedestrian in a collision path. SIGRA ADAS system continuously scans the area in front of the vehicle detecting all type of vehicles in the path. The system calculates the relative speed and in case of danger of a collision, a critical warning is given to the driver both during city and highway driving. SIGRA ADAS system monitors the distance from the vehicle ahead all the times. The system provides a real-time distance in seconds. If the relative distance becomes unsafe, the driver is warned. SIGRA ADAS system provides warning signal in case the vehicle is steering off the lane unintentionally. The system can warn the driver when the vehicle is crossing the lane marking or give an early warning before lane markings are crossed. SIGRA ADAS system keeps the driver aware of various speed limits while driving. The system issues warning to the driver in case the vehicle exceeds the maximum speed limit. During night time, high beams from approaching vehicles could be blinding and dangerous. SIGRA ADAS system will detect the approaching vehicle and switch from high to low beam to avoid inconvenience to the drivers of the approaching vehicles. SIGRA ADAS automatic emergency braking functionality detects imminent collision situations with pedestrian or a vehicle braking in front, to actively control the braking by either applying partial brakes or full braking to avoid accidents or reduce the accident energy. Adaptive cruise control makes driving on highways relaxing. TAPAS EINSTEIN 1 adaptive cruise control functionality maintains the desired speed of vehicle when possible while keeping a defined safe distance to any vehicle in the same lane. SIGRA ADAS lane keeping functionality continuously controls the steering wheel to prevent unintentional drifting of vehicle out of the lane by trying to centre the vehicle in the driving lane.